Sunday, the day of rest, the lazy day, Sunday Funday, whatever you want to call it- I love it. It’s the only day of the week where I really feel like I can chill with no Uni or work. 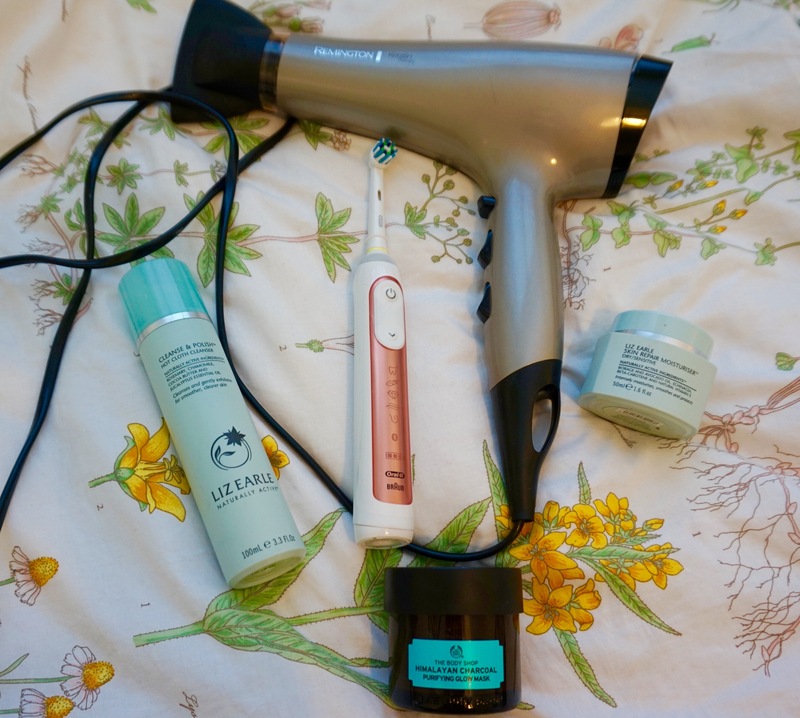 Today I thought I’d talk you through my lazy morning routine, I’d just like to point out, this level of organisation in a morning is rare for me as I usually have places to go as will most of you. In fact, I’ll let you in on the truth, between taking these photos I had to rush out of the house in my pyjamas to drop Josh off at the tram stop so that he wasn’t late to the match because we stayed up to 3.30am watching NCIS Los Angeles. So basically what I’m saying is don’t stress if you feel like you don’t have the time for all this, just find a routine that suits you and your lifestyle- and most importantly what makes you feel relaxed. So Today I woke up at about half 10, and like most people I stayed in bed scrolling through instagram for far too long until eventually I had to give in to go for a wee. Then (after the emergency trip to the tram stop) I made some breakfast. 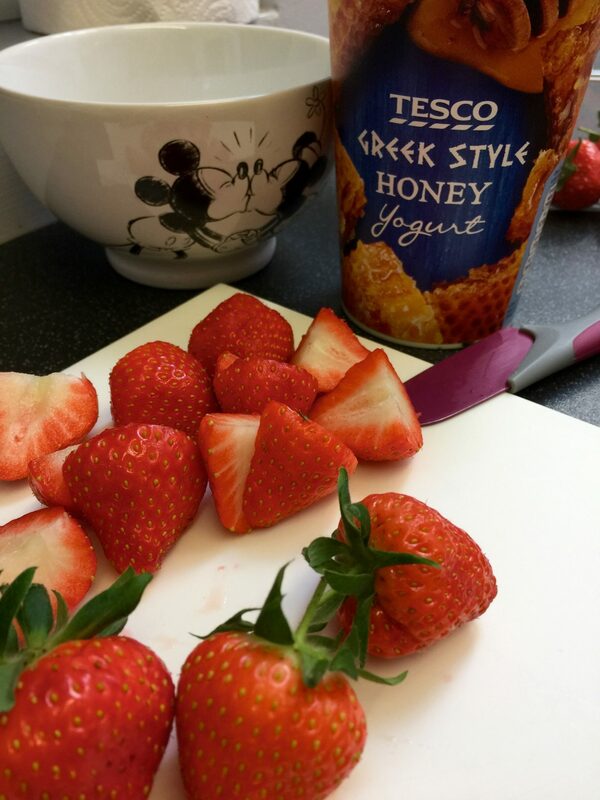 This morning I went for a tea in my favourite Elephant mug and some Strawberries with Honey Greek Yogurt, I then brought these back upstairs and watched some YouTube videos in bed. 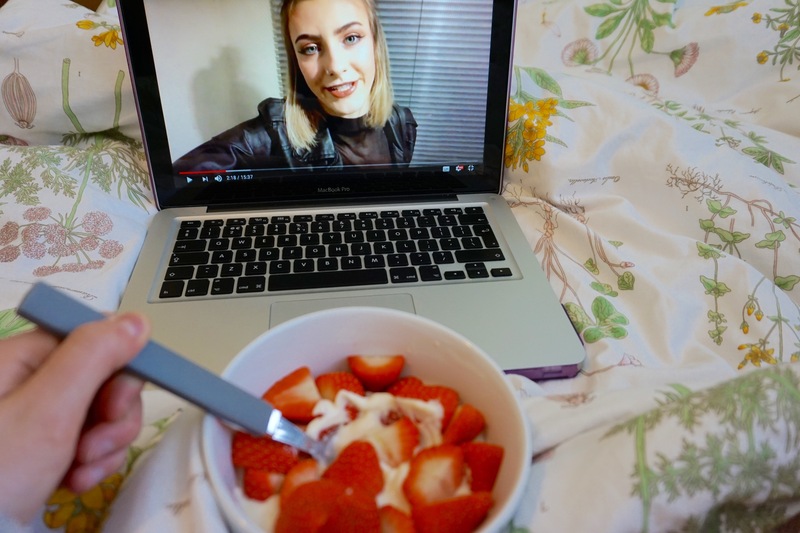 It’s become routine to watch Amy’s vlog first, which she always uploads on a Sunday morning, then I accidentally fell into a YouTube hole for a while. 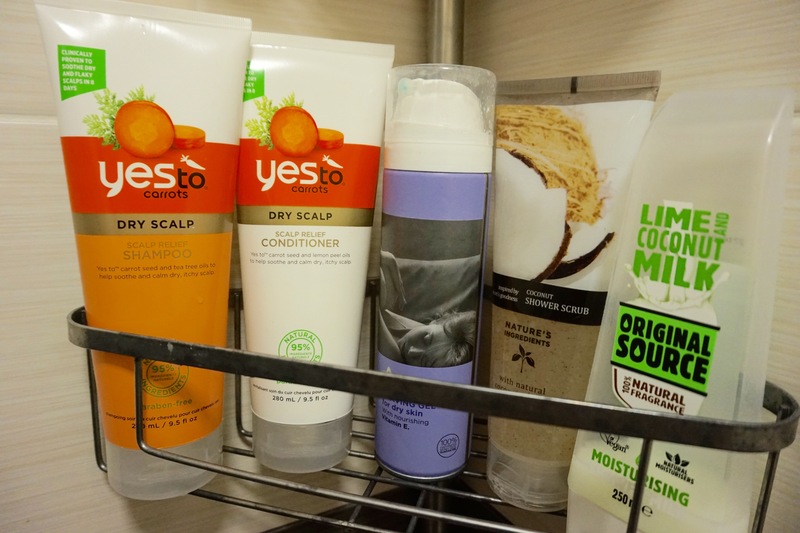 Next up shower time, recently I’ve been using the Yes To Carrots shampoo and conditioner, which are great if you have a dry scalp like me (lucky me!) alongside my Original Source Lime and Coconut Milk which smells so nice, I will have to buy a new bottle of it as it has almost run out! Finally I’ve been using the Nature’s Ingredients coconut body scrub which is from Marks & Spencer and is also cruelty-free, before finally shaving my legs using the Superdrug shaving gel for dry skin. Next I dried my hair and brushed my teeth, fun fact I use the Oral B Genius 9000 toothbrush that I got in the Limited Edition Rose Gold version for a really good price at work if anyone cares and tbh I love it the most because it glows while you brush your teeth, it makes the child inside me very happy. 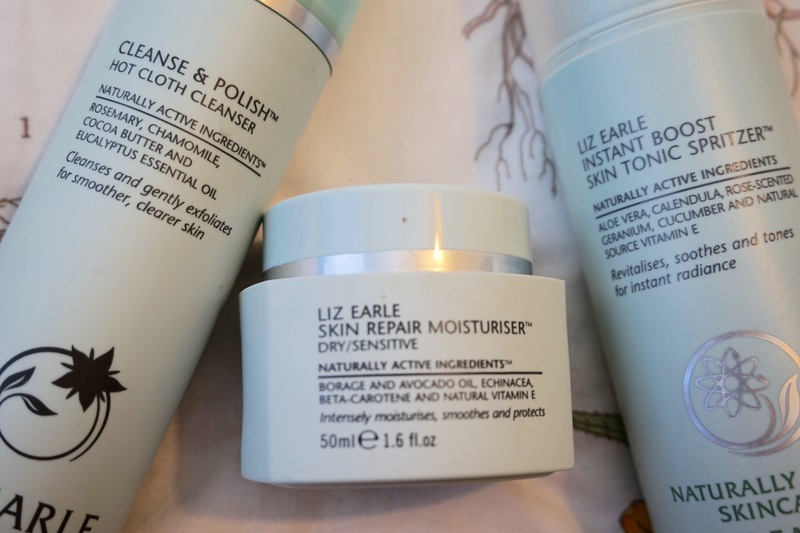 Then onto skincare, as always I cleansed my skin using the Liz Earle Cleanse and Polish Hot Cloth Cleanser, which is now an empty (cries), however I am excited to try to Pixi and Caroline Hirons Double Cleanse which I just picked up yesterday. 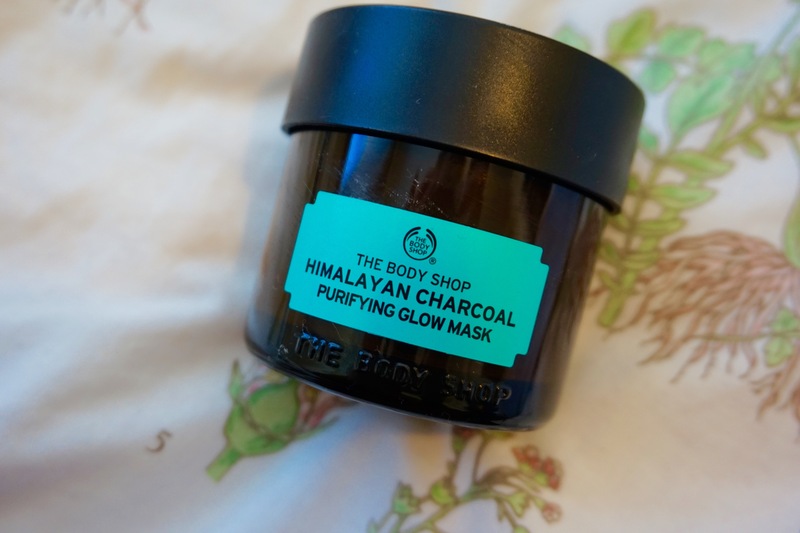 After that, as I wasn’t in a rush I decided to use my new Himalayan Charcoal Purifying Glow Mask from The Body Shop which is soooo nice- however you cannot move your face in that thing. Once I had washed that off I used the Liz Earle Instant Boost Skin Tonic Spritzer and finally finished with the Liz Earle Skin Repair Moisturiser. 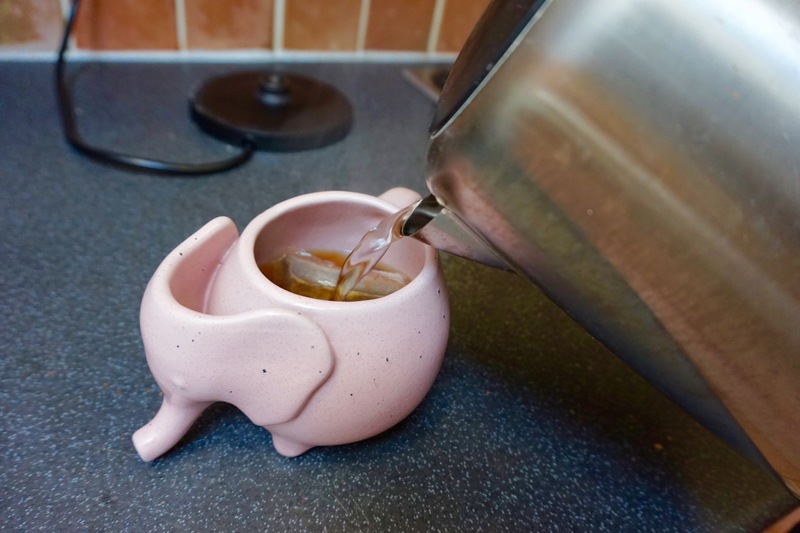 So now I’m sat writing this blogpost for you, in bed with another cup of tea of course. After a nice chilled morning I have a very exciting day ahead of revising for my exam, cleaning the bathroom (procrastinating), washing the posts (procrastinating) and I think me and Amy are going to attempt to cook some Seabass maybe (procrastinating)? Hopefully you enjoyed this lazy Sunday post, let me know in the comments what you’ve been up to, or if there any skincare items you think I should try. Also let me know if you have any suggestions for blog posts you would like to see, I’m all ears.